Grab some McDonald’s new herb and garlic seasoned fries for FREE with any $1 purchase. This offer is only available in some provinces using My McD’s app. Check your app for more information. Available only for a limited time. 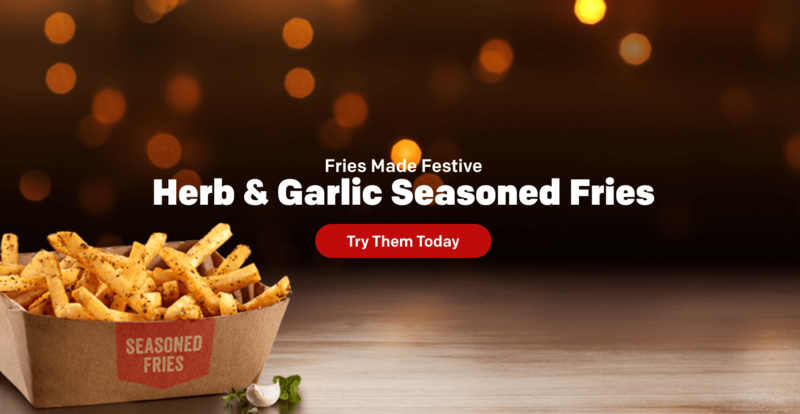 McDonald’s recently released the new herb and garlic seasoned fries: world famous fries, cooked to a golden perfection and then sprinkles with a festive-inspired blend of parsley, oregano, thyme, garlic and sage.